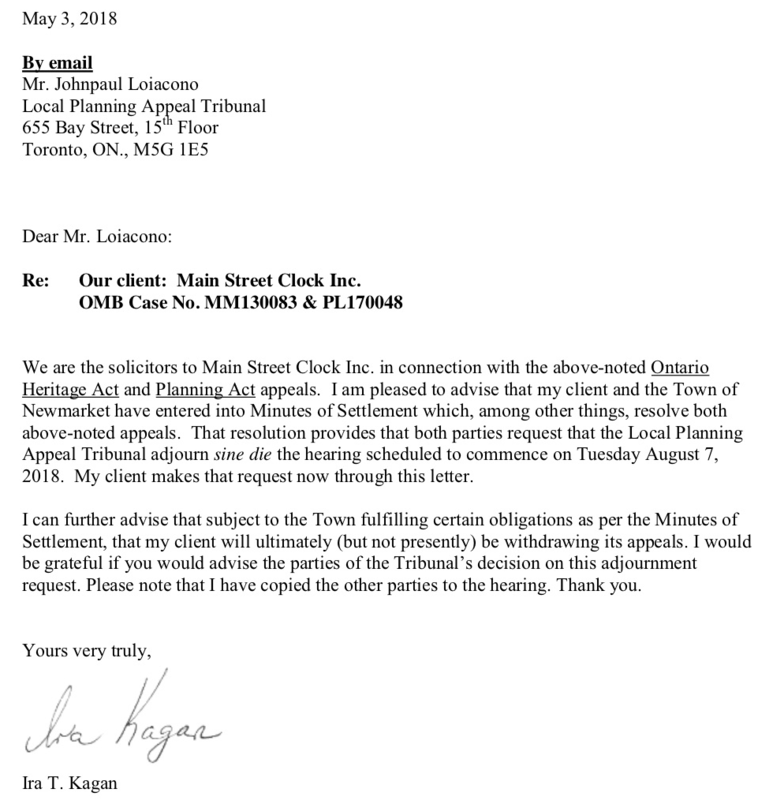 The Town of Newmarket has now agreed Terms of Settlement with the Clock Tower developer, Bob Forrest, which means the OMB Hearing scheduled for August 2018 will no longer go ahead. It is likely that the application coming before the Superior Court later this month on who owns the contested land in Market Square will also be pulled. Earlier today (3 May 2018) Forrest’s lawyer Ira Kagan told the Local Planning Appeal Tribunal (the successor body to the OMB) that Forrest and the Town of Newmarket had agreed the terms of a settlement which resolved the appeals currently before the OMB. Kagan says the Town and Forrest want the OMB Appeal due to start on Tuesday 7 August 2018 to be adjourned indefinitely. 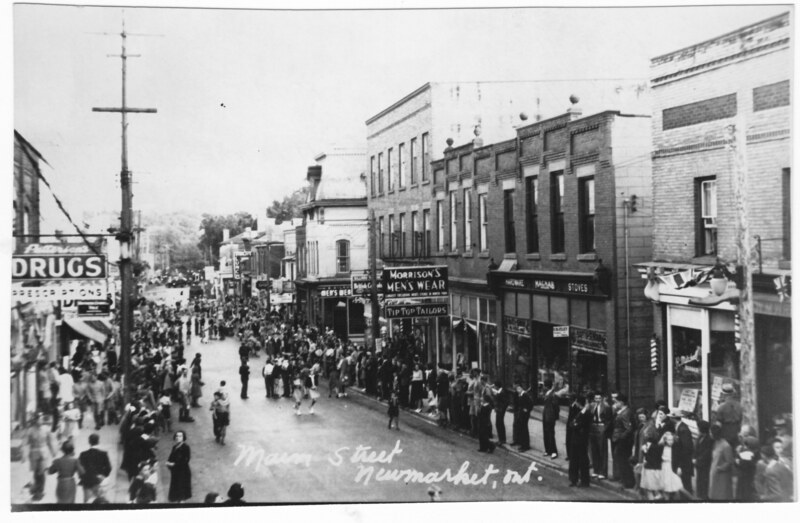 The Town has settled with Bob Forrest but we do not yet know on what terms. 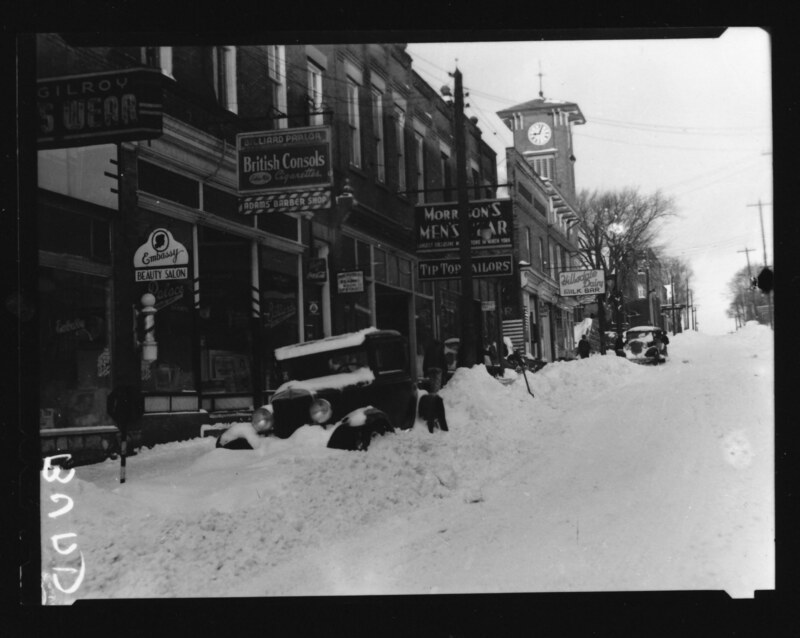 What are the obligations the Town must fulfill? We shall find out tomorrow afternoon according to Bob Kwapeese. If Forrest's Clock Tower project is now stone cold dead, never to be resurrected, we should all give thanks. Kagan was poised to argue at the Superior Court that if the Town hadn’t gotten round to closing the deal after so many years it was no longer operational. Anyway… all this stuff is for the lawyers. I suspect the Town has thrown Forrest some kind of lifeline, allowing him to walk away with something. But this is speculation on my part. Unlike the leaky Councillor Kwapeese I am not privy to the details. It is enough to say that today we learn the OMB Hearing is off. Tomorrow we shall find out what the real deal is. Tonight I emailed the Town to ask when and where the "big announcement" will happen. I wanna be there.